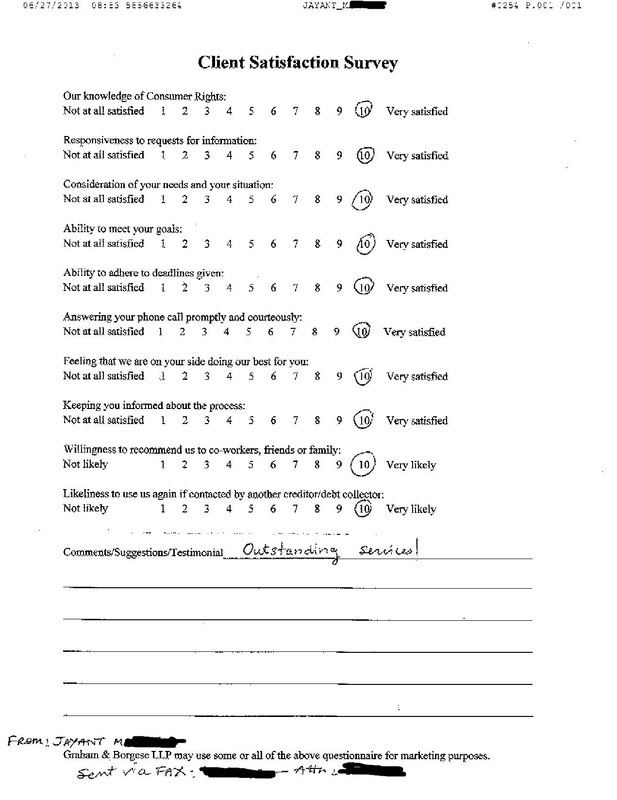 Below is a review of our services from Jayant M. of Buffalo, NY. If you need help resolving a debt related issue, please contact us today for a free consultation. We handle debt lawsuits, judgments, frozen bank accounts, wage garnishments, debt settlement, defaulted student loans and more.